On most Sunday afternoons, Pan Naw Tun, a foreign domestic worker in Singapore, would meet with six of her friends at the open field along Hill Street for a picnic. Over shared packets of food, snacks and drinks, the group of seven – who are all domestic workers from Myanmar – would chat, joke, and occasionally, play games with one another. For them, this treasured time of bonding and unwinding is something they look forward to every week. However, an ugly incident about five months back almost put an end to their weekly outings. “We were singing songs when suddenly, an elderly couple came up to us to scold us,” Pan recounted to The Pride. “They said we were making too much noise. Then, they told us that we’re not supposed to gather there, that we’re being a (public) nuisance, and threatened to call the police on us. Are strict house rules and a rigid timetable for your maids necessary? According to Pan, the elderly couple went on to berate a few other groups of domestic workers who had also gathered at the field. The episode left such a sour taste in Pan’s mouth that she considered calling off their weekly picnics for good. Eventually, though, Pan and her friends decided they would not let that one incident get them down, and has since continued to hold their picnics every week. Unfortunately, the prejudice they faced that day is not something that is unheard of here in Singapore. 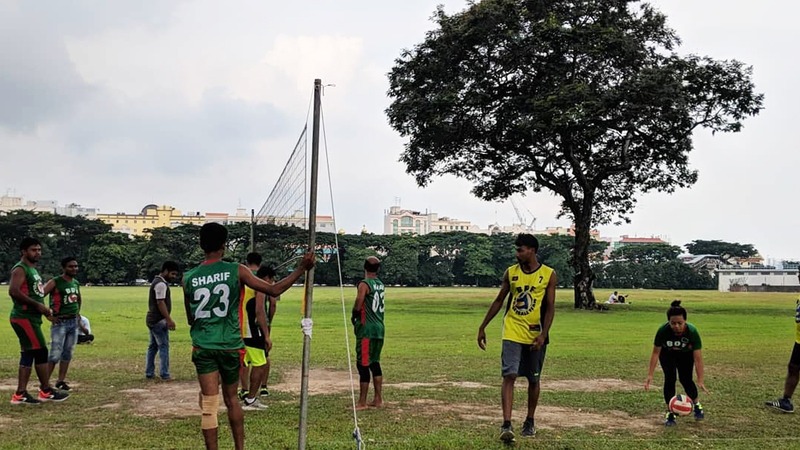 In particular, some Singaporeans are unhappy about the way foreign workers spend their days-off, which usually revolve around gathering in groups for recreational activities. Just two months ago, a Singapore netizen complained on Facebook about the groups of migrant workers who were picnicking at the open field beside Kallang MRT, which he labelled as “very unsightly”. And earlier this year, in March, a 39-year-old woman wrote to the Shin Min Daily News to lament the presence of migrant workers in the Boon Keng and Kallang area, claiming that they “occupied the covered walkways”. She also criticised migrant workers for their public displays of affection, which she termed “embarrassing”. John Gee, Chairman of the Research Sub-Committee for Transient Workers Count Too (TWC2), a non-profit organisation which promotes equitable treatment for migrant workers in Singapore, told The Pride that their organisation has also received similar complaints in the past. However, he says the majority of these complaints are unreasonable, with the complainants seemingly just unhappy at the very existence of foreign workers. “I’ve met people who complain about domestic workers congregating around Lucky Plaza, and there used to be complaints about them using ‘The Patch’ (as the space where ION building now stands was called). Sheena Kanwar, the executive director for Humanitarian Organisation for Migration Economics (HOME), a registered charity dedicated to assisting foreign workers in Singapore, says that migrant workers often use these public spaces for their gatherings and recreational activities as they “do not feel welcomed in other public facilities”. Sheena, however, stressed that it was important for migrant workers to have more public spaces to fraternise with one another, as it is through these gatherings that they get to build their community of friends. “Most migrant workers don’t have the money to rent a private space, but yet they need a space to have a community,” said Sheena. “It’s very important that they do have this (community) of friends and support because oftentimes, it can get very lonely for them in their employment situations. This aspect of community is something that Mohammad Sahidul, a migrant worker who works in a shipyard here, says helped him through his initial years in Singapore. The 43-year-old told The Pride: “At the start, I felt very lonely because I was new here, I didn’t know anybody. From Monday to Saturday, I’ll work, but on my days off, I don’t know what to do. “So, I was very sad because I didn’t have much money to spend, and I was afraid of going out on my own. But one day, a colleague of mine introduced me to Dibashram (a cultural centre for migrant workers located along Rowell Road) and I went down to have a look. Ultimately, though, Gee believes Singaporeans need to change their mindset and attitude towards migrant workers and be more accepting of their need for community bonding. After all, he reasons, Singapore is built on a foundation of society’s acceptance of different races, religions and cultures. “I think the public should just accept that socialising and recreation are human needs and everyone has a right to them,” Gee said. “If you employ workers from other countries, you should accept that they need space for such things. Agreeing, Sheena added that migrant workers should not be treated as lesser beings, even though they may be from a different country and working in jobs that may not be seen as glamorous. “It would be fantastic if all foreign workers are able to use all the facilities available to us, and for them to mix with citizens and integrate into society. HOME will be organising their very first Diwali cultural night and fundraiser on Oct 31. All proceeds from the event will go towards funding shelter and legal assistance for migrant workers in crises situations. For more information, visit here.